During an average visit on a webpage, users only read 20% of the content. What does that mean for your donation landing page or your website in general? It means that you need to skillfully tell your nonprofit’s story and hook your website visitor from the start. We will reveal how effective storytelling can help you increase your nonprofit’s online donations. Once the hard work of creating a donor persona, researching the best keywords, and increasing your SEO pays off, you’ll begin to notice an increase in your website traffic. So how do you turn those visitors into donors? One of the easiest, most effective ways is storytelling. Sharing your nonprofit’s story with your donor audience will appeal to their emotions and inspire them to contribute to your cause. Your nonprofit’s story can be useful on any page on your website, but we are going to specifically dive into how to write the story for your donation page. The story that you tell about your nonprofit should give your website visitor a reason to become a donor. Since users tend to bounce quickly on websites, the first thing you need to do when telling your nonprofit’s story is to form a connection with the user. For this, aim for authenticity and to appeal to your audience’s emotions. Whether it’s an impactful statistic or a quick summary of someone you’ve helped, you have to convince your audience to keep on reading! Causing your reader to feel positive emotions through your story has been proven to create long-lasting donor relationships. Using a sad, negative emotional appeal can create a higher level of sympathy, but the success from that story is usually short-term. After capturing the attention of your reader, let them know who you are! Relate back to your opening statement and keep the reader engaged while establishing your credibility. You can say your nonprofit has been around X years or you have raised Y amount of dollars during your time as an organization. Keep in mind that users steer away from blocks of text, so decide which details are necessary and ensure you are creating clear, concise content. There are two types of conflict you will present your reader: external and internal. Creating tension for your reader will continue to keep them engaged. The external conflict will be about what your cause supports. It should describe the problem in the community that your organization is working actively to fix. For example, a land preservation nonprofit’s external conflict would be that the outdoors needs to protected and maintained. The transition from your introduction to your external conflict will be smooth because you will already be talking about your organization. After explaining the big picture, you’ll start talking about the internal conflict. You will inform the reader of any issues your organization comes across while working towards your cause. This will most likely be that you are unable to attend to the external conflict all by yourself. It will be your way of saying that you need their help. Well now that you have let your audience know who you are and presented them with a conflict, you have to let them know how they can help resolve it. You can mention how you need volunteers and/or donations to continue working actively towards your cause. Make sure that the resolution sounds doable for your donor audience. Once donors know how their donations can help, they will want to contribute. Encourage them to even make small donations and emphasize that every cent counts. Now that your reader has made it to the end of your story, have them take action to help your cause. Use urgent language in your call-to-action such as “now” or “today” to discourage them from leaving the page and coming back later. Now that you know how to effectively tell your nonprofit’s story, incorporate these tips to take it to the next level. While your nonprofit’s story should mention the 5 parts listed above, that doesn’t mean it has to be a block of text. Include good-quality pictures and break up paragraphs to keep your reader engaged. Creating bulleted or numbered lists is another way to make your content easier to read. Keep in mind that most website visitors skim the content on your page, so they may steer away from a lot of text. The goals of blogs and landing pages are different which is why they contain two different types of stories. With blog posts, your main goal is to attract the reader to your website and have them learn about your cause. That’s why your blog posts are mainly informative stories about information your website visitor wants to learn more about. On your donation landing page, your goal is convert the website visitor into a donor. This story will be persuasive and focus on getting your reader to take an action after reading. Just because your blog post is informative doesn’t mean that you can’t include a call-to-action on it. You can still encourage your reader to subscribe to your blog or to donate to your cause. Ensure that the story on your donation landing page contains the 5 parts of storytelling so that your audience is captivated and well-informed. By informing your donor persona of what their donations go towards, you are establishing more credibility for your organization and you are encouraging them to donate. You can do this by translating the value of their donation into something tangible. For example, charity: water shows the exact impact that donations can make on people’s lives. 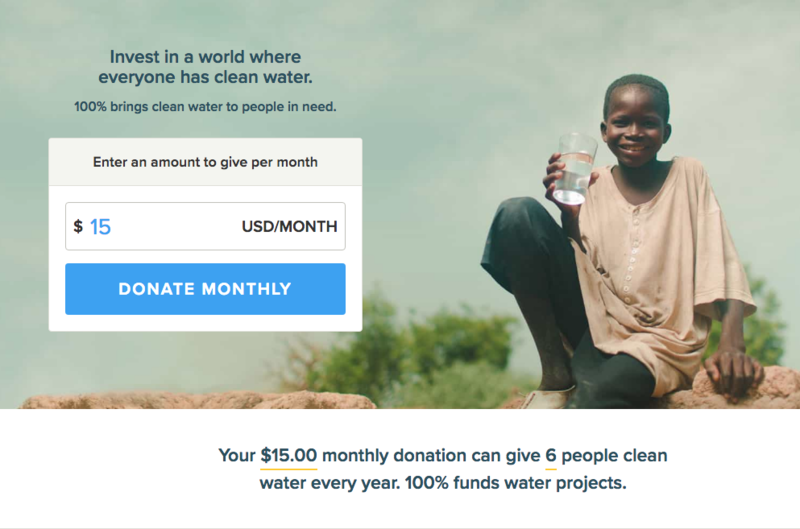 When you enter a donation amount, it tells you how many people will receive clean water due to your contribution. That is a powerful way to engage a website visitor and convert them to a donor. 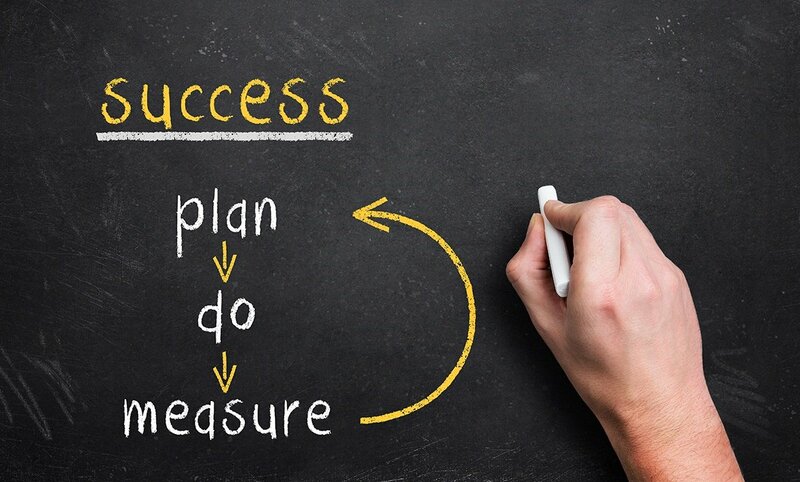 You should also share success stories about how you were able to accomplish something due to generous donations. They will want to be a part of your next achievement! Storytelling is essential to help convert your website visitors to online donors. These tips will help you enhance your nonprofit’s story so that your readers can connect with your cause and feel the urge to donate. Want more tips on how to increase your online donations? Download our free, example-heavy eBook on how to optimize your donation landing page. Click below to learn more and download.